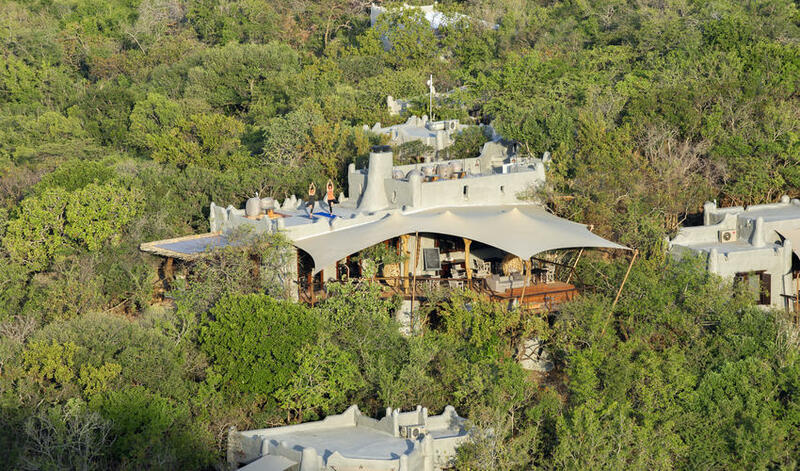 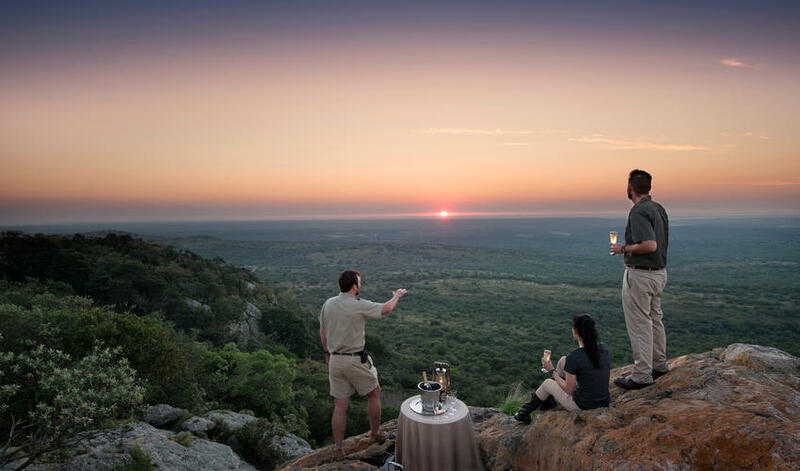 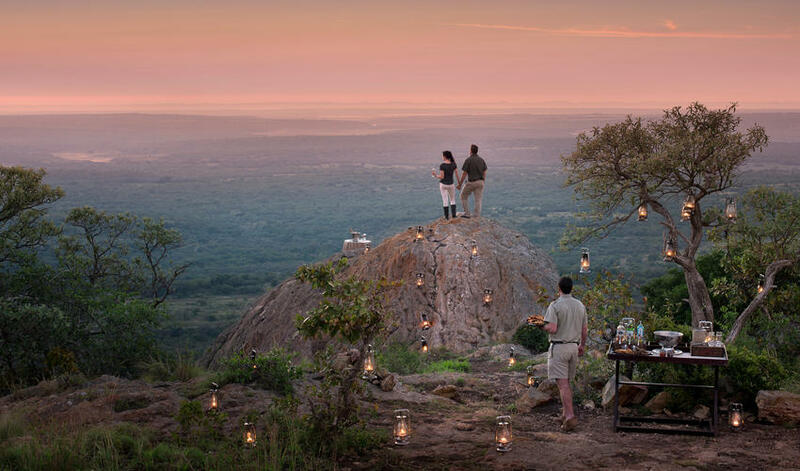 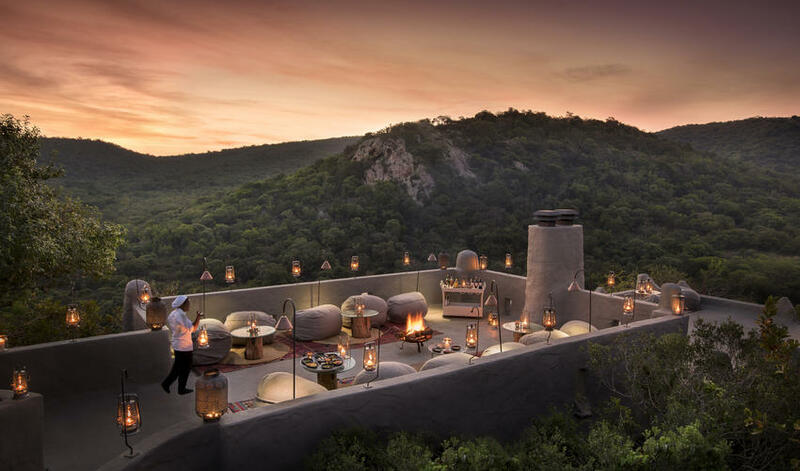 Phinda Rock Lodge is carved into a mountain in the Phinda Game Reserve. 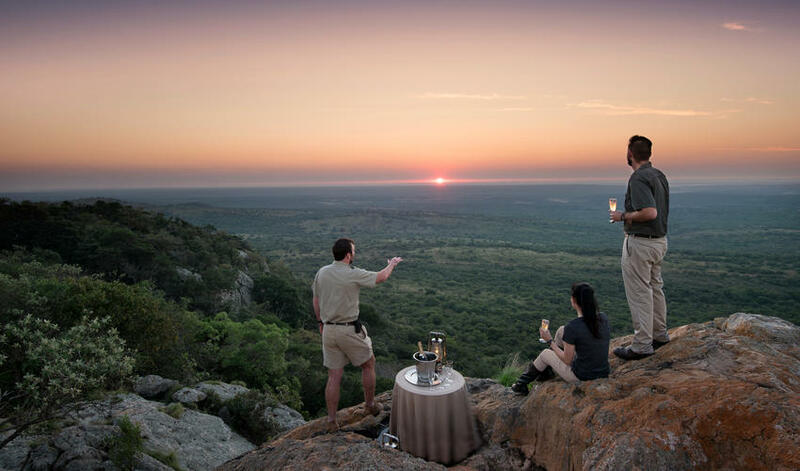 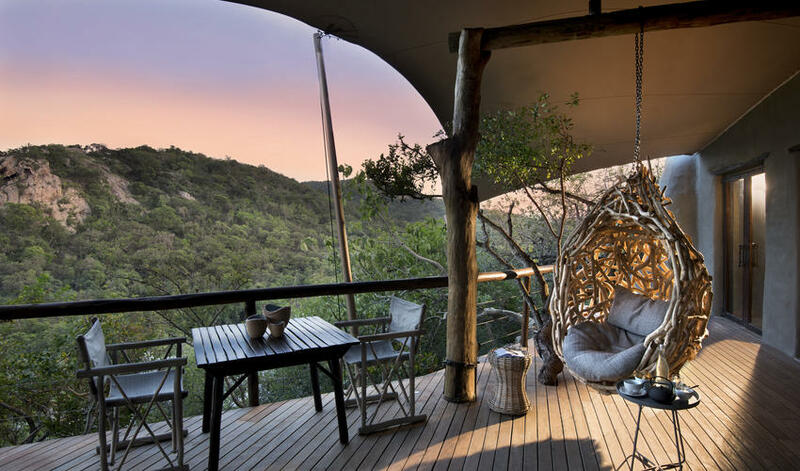 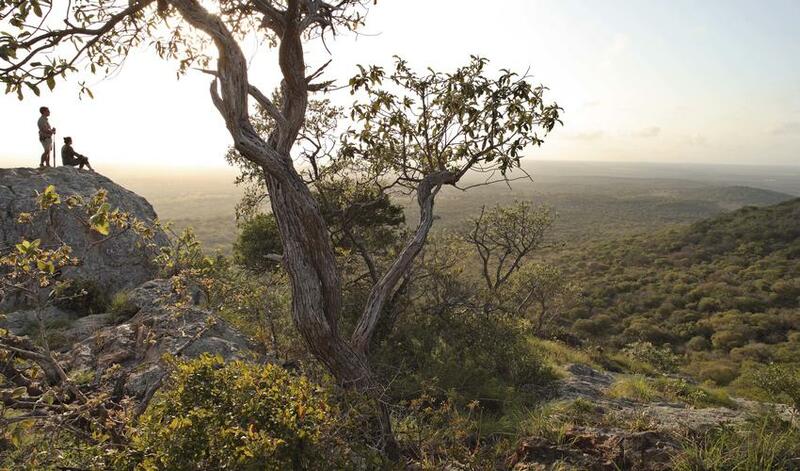 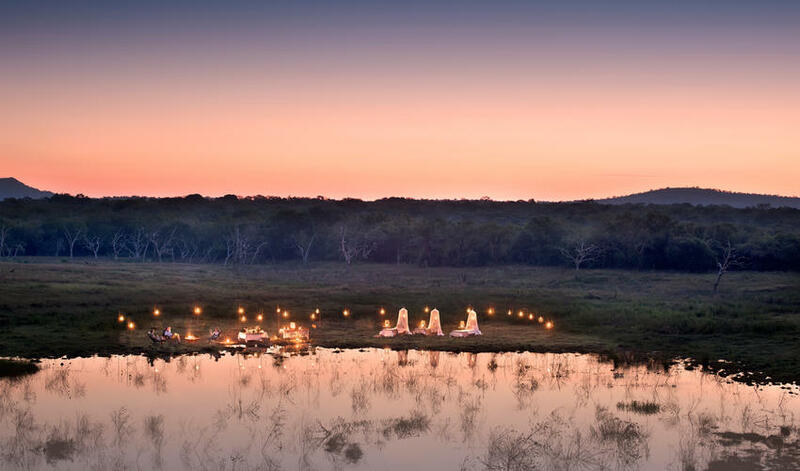 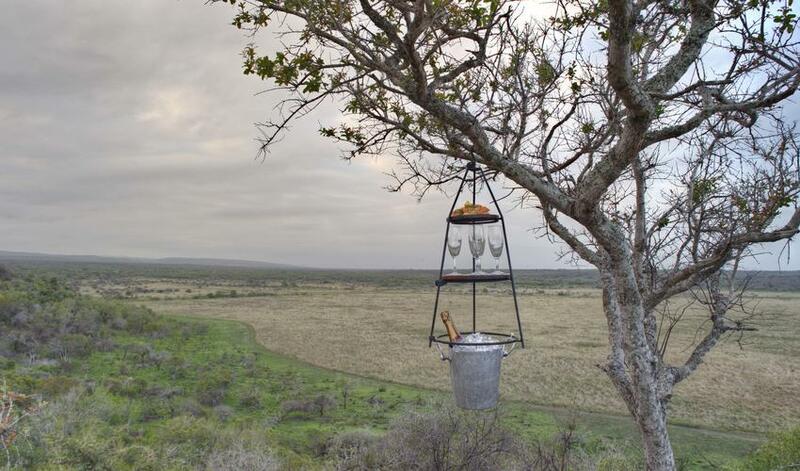 This &Beyond property is a small camp with 6 stone suites overlooking the bush below. 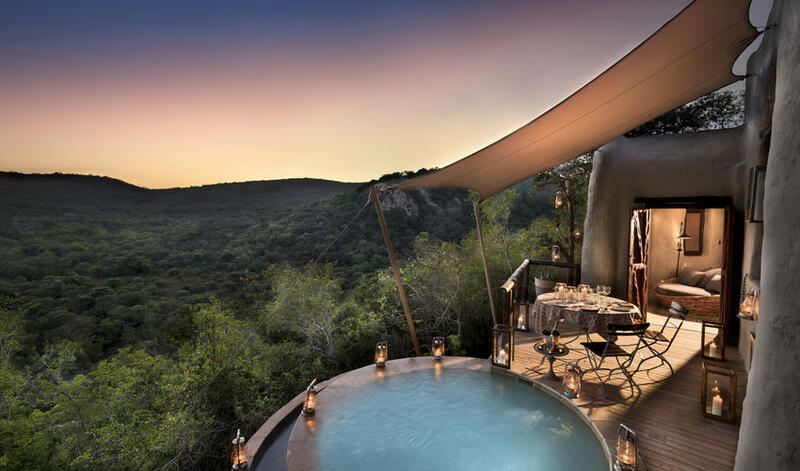 Each suite has a deck and plunge pool, giving you the impression you are hanging off the edge of a cliff. 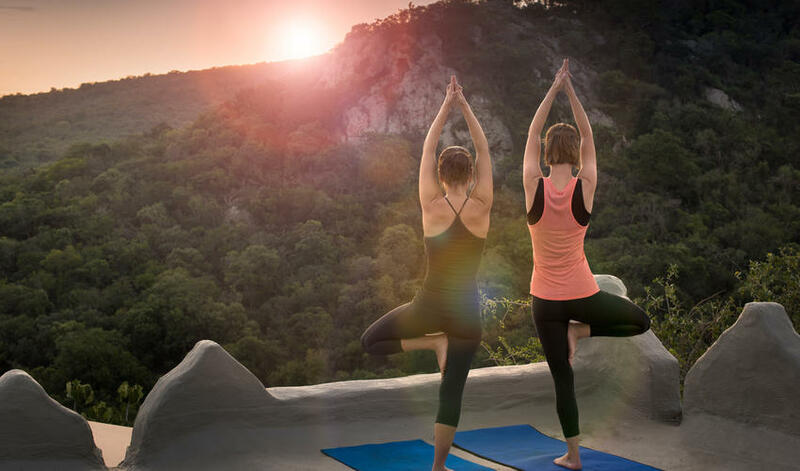 Due to the height, children under 12 are not allowed at Rock Lodge. 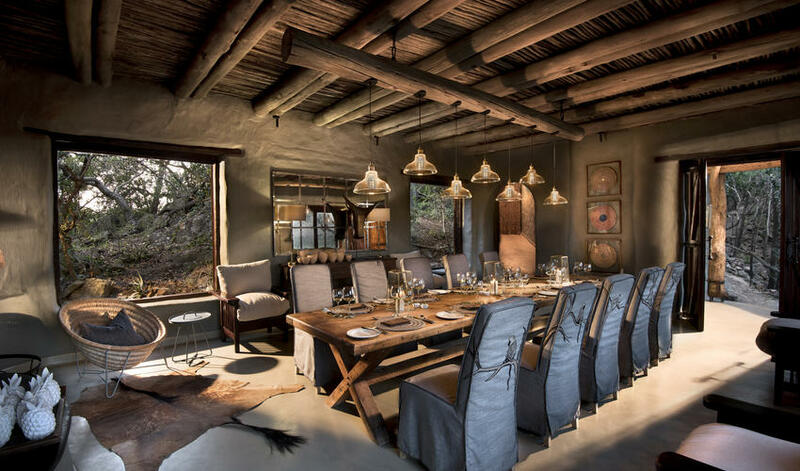 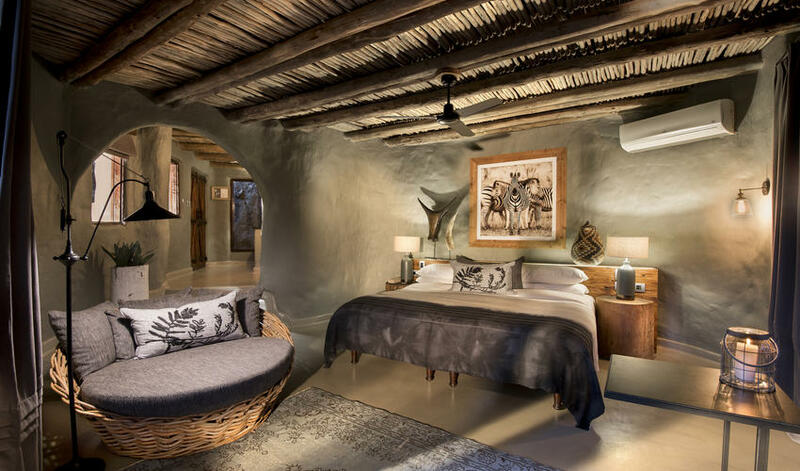 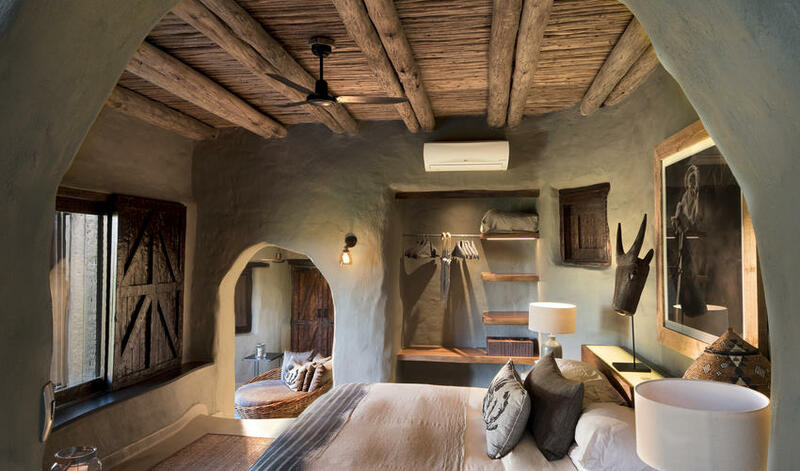 The décor is quite different from the traditional safari lodge, with uneven walls and wooden shutters that remind us of the pueblo architecture of New Mexico. 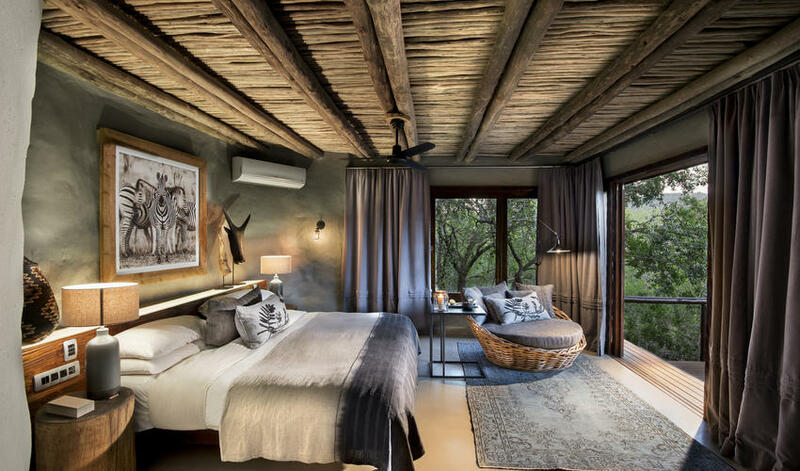 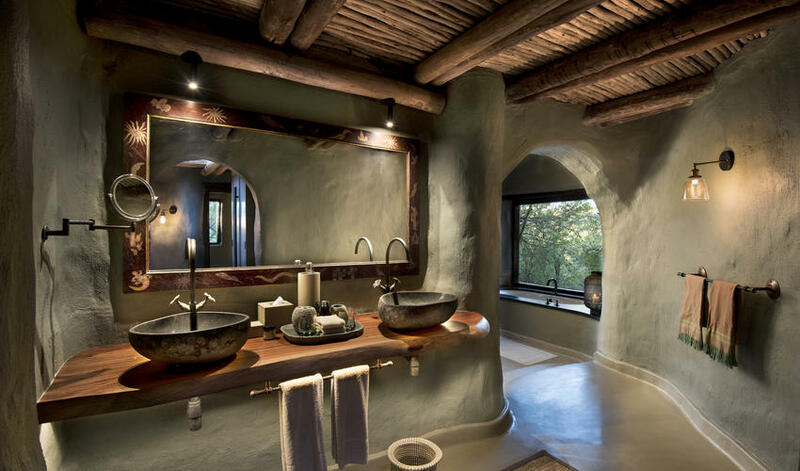 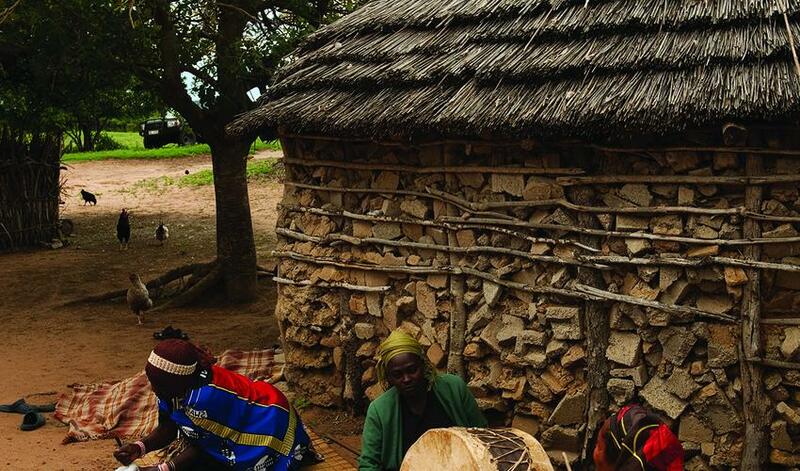 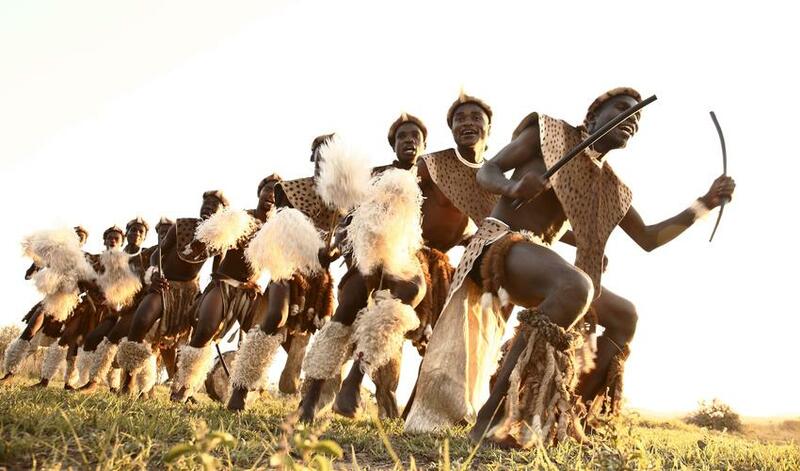 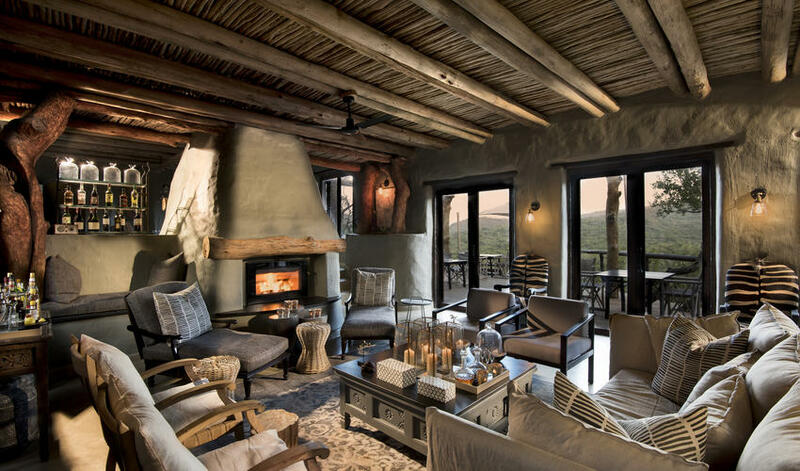 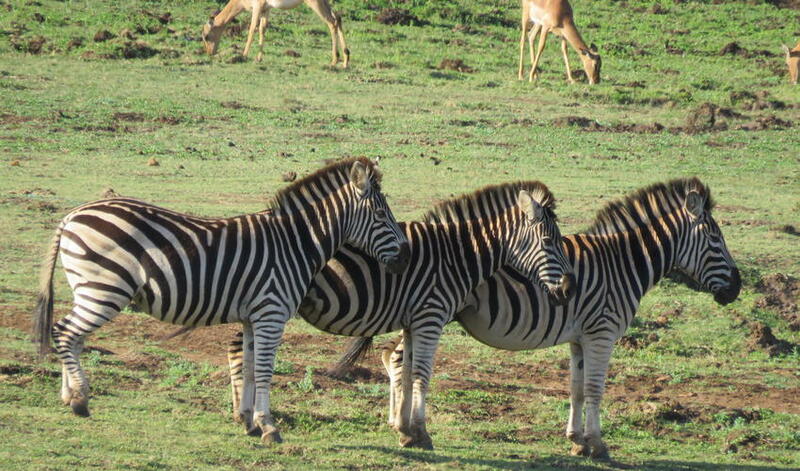 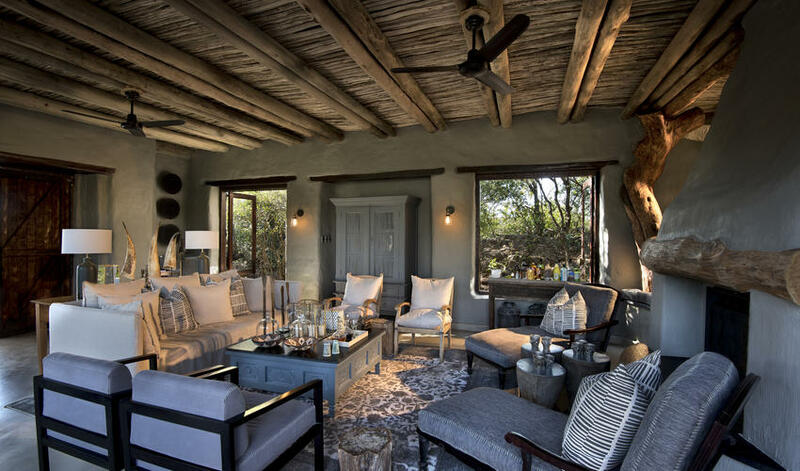 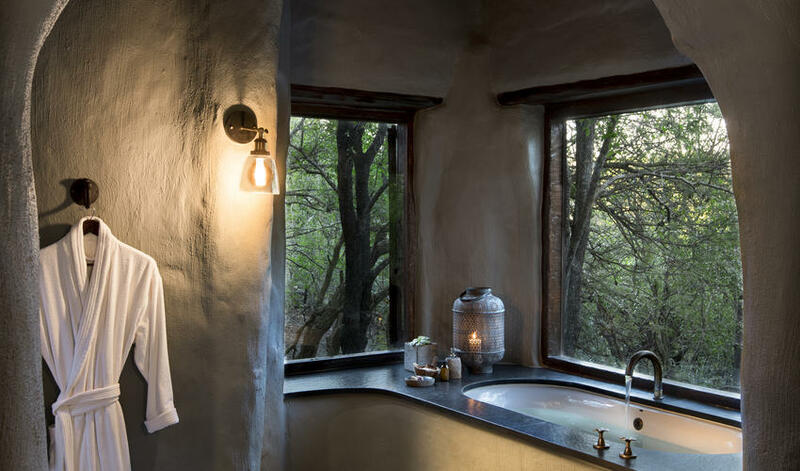 It is cozy, but some people find it too far out from the traditional look they expect on safari. 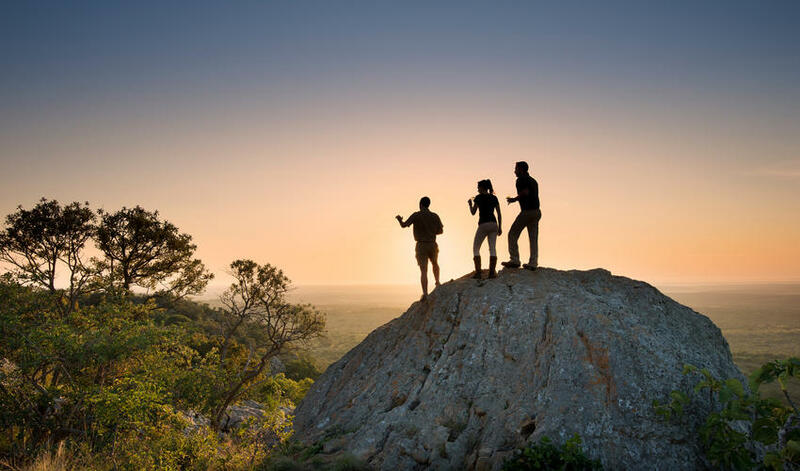 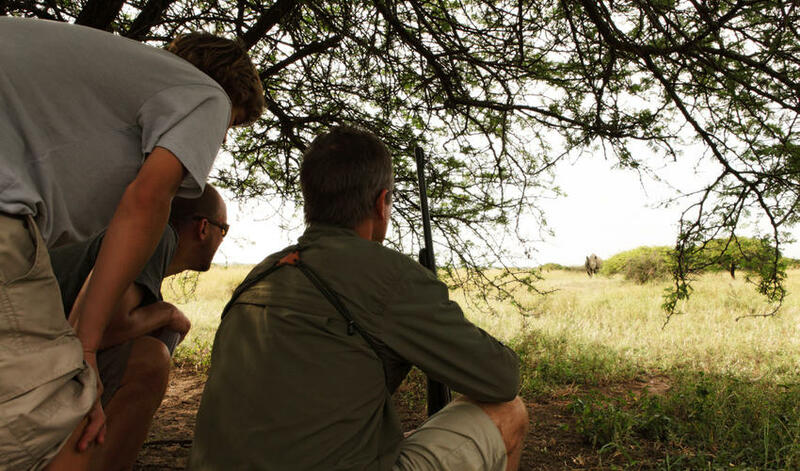 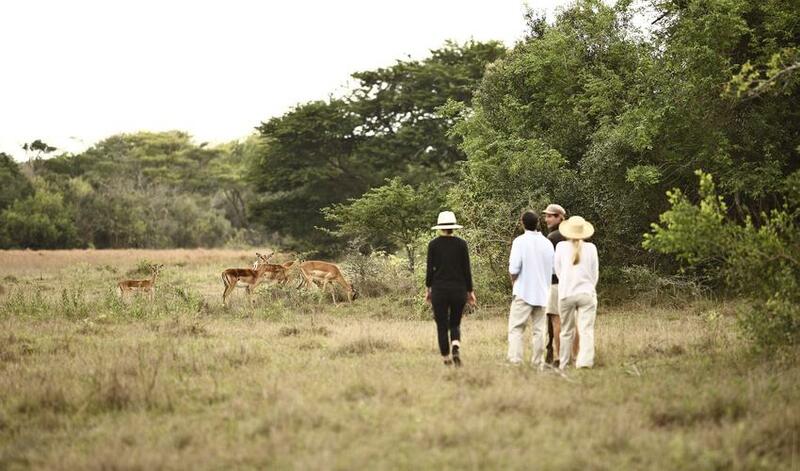 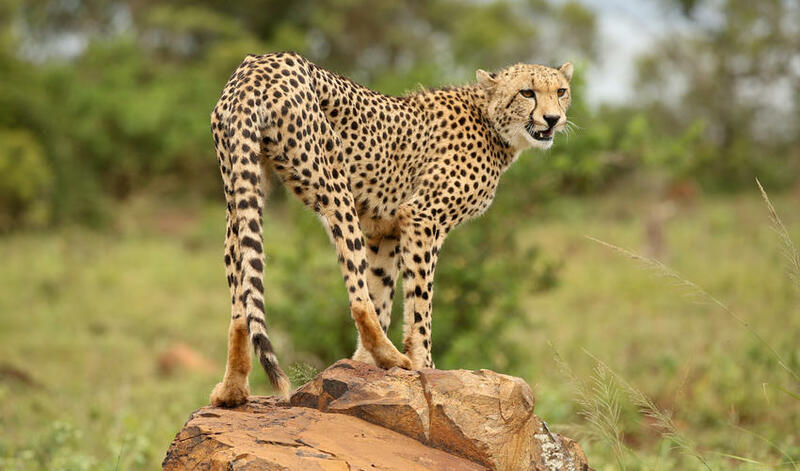 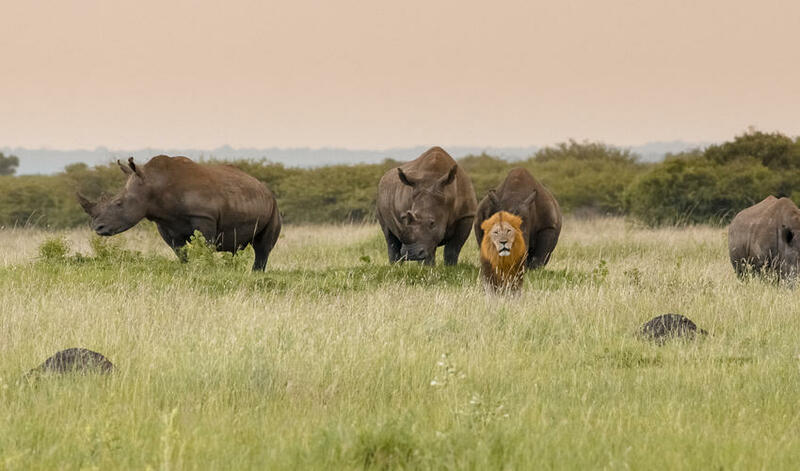 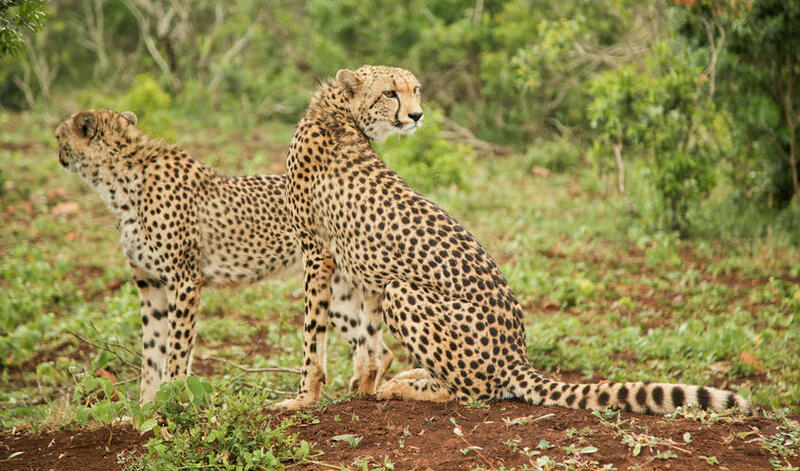 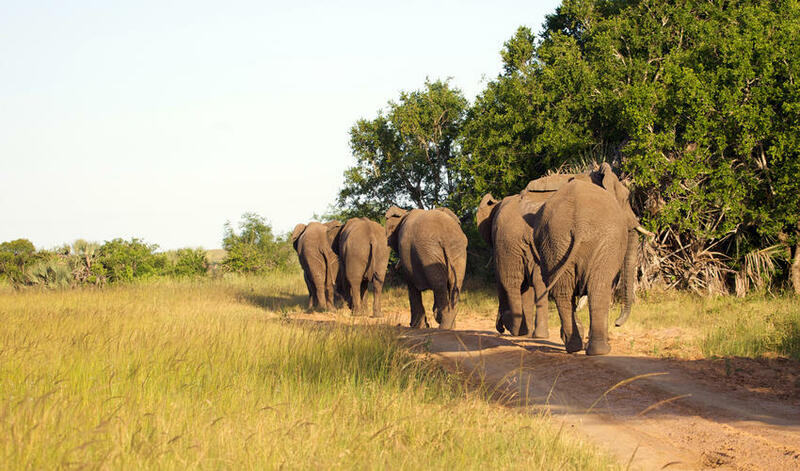 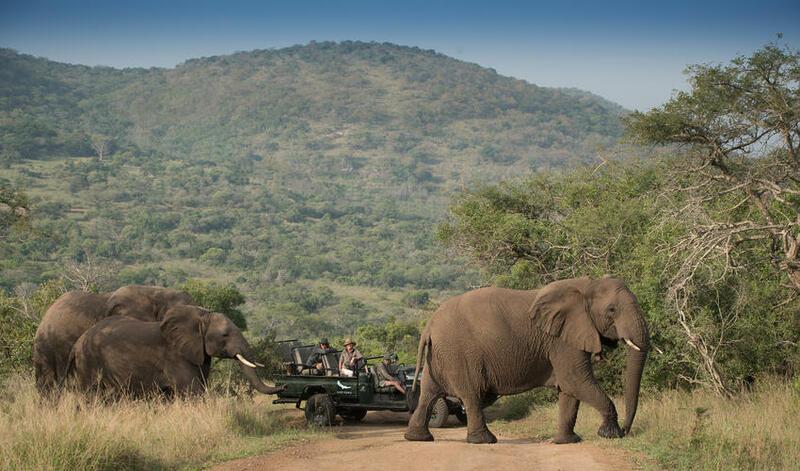 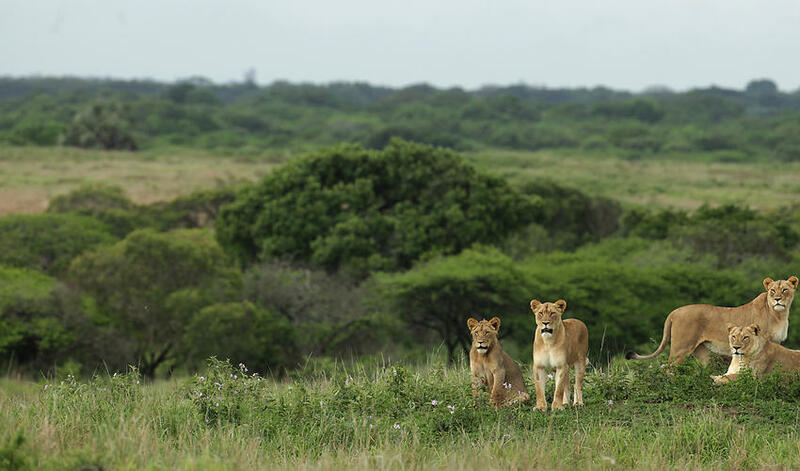 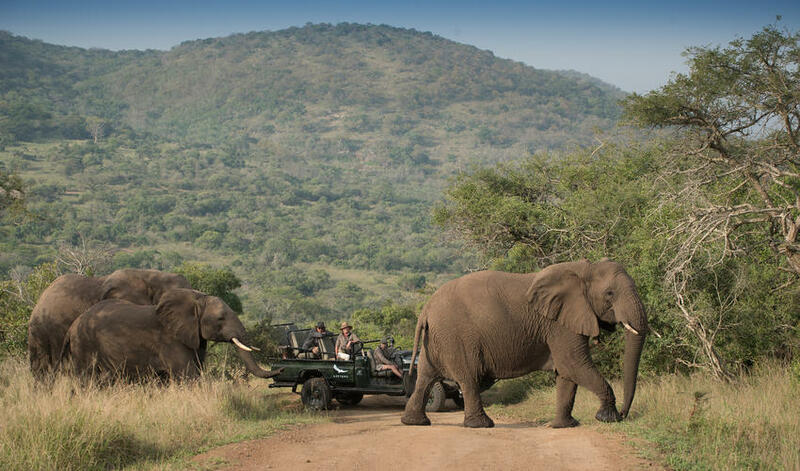 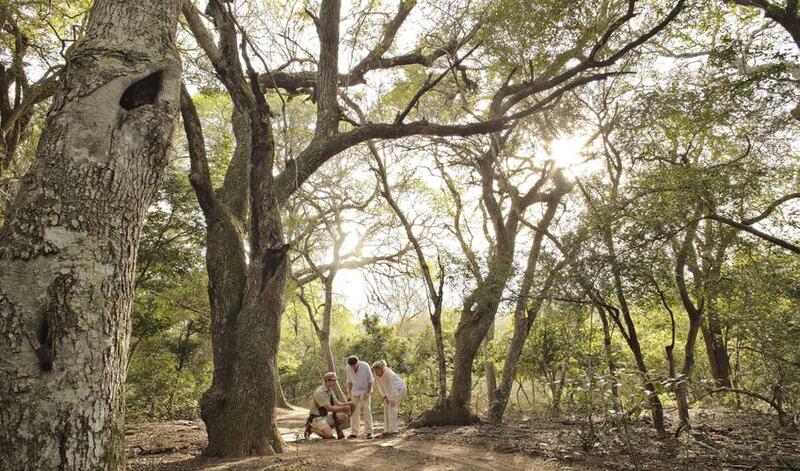 Game drives through the Big 5 Phinda Reserve are excellent with expert rangers showing you through the diverse bio-systems that makes Phinda so popular. 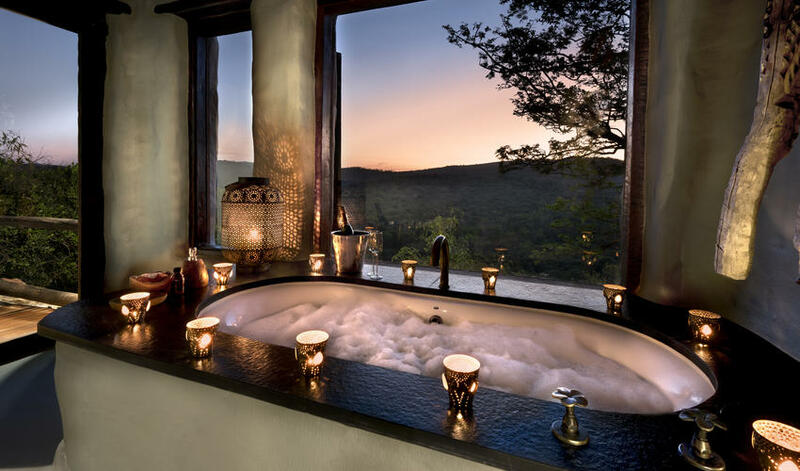 Rock Lodge is a well-run, smoothly-operated property, and the views from the rooms are spectacular. 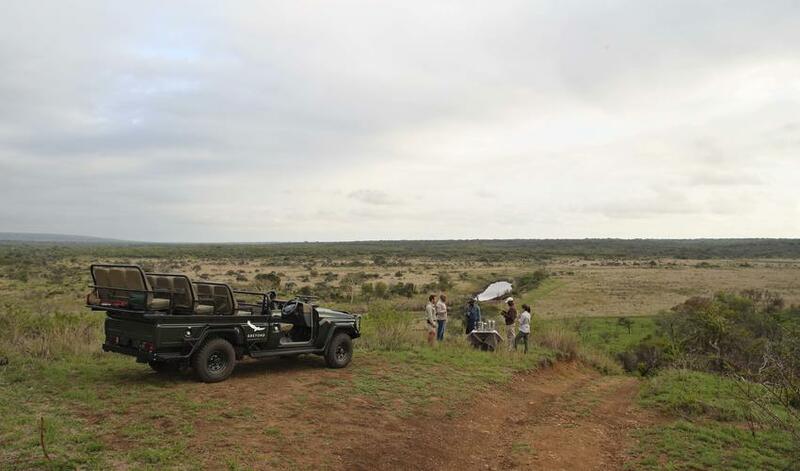 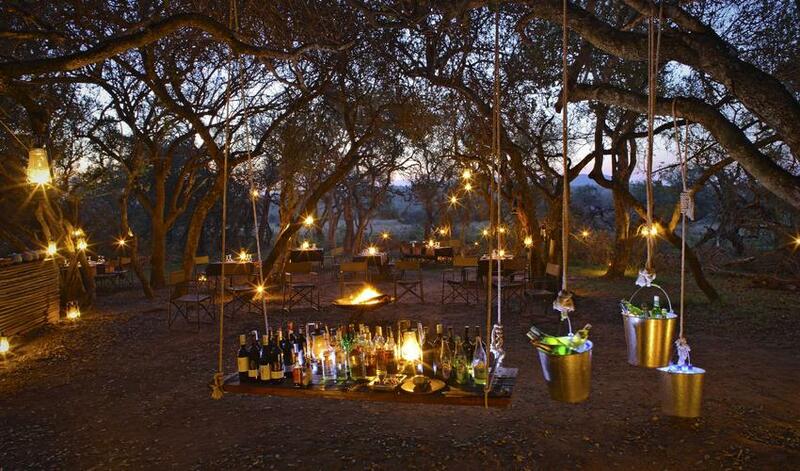 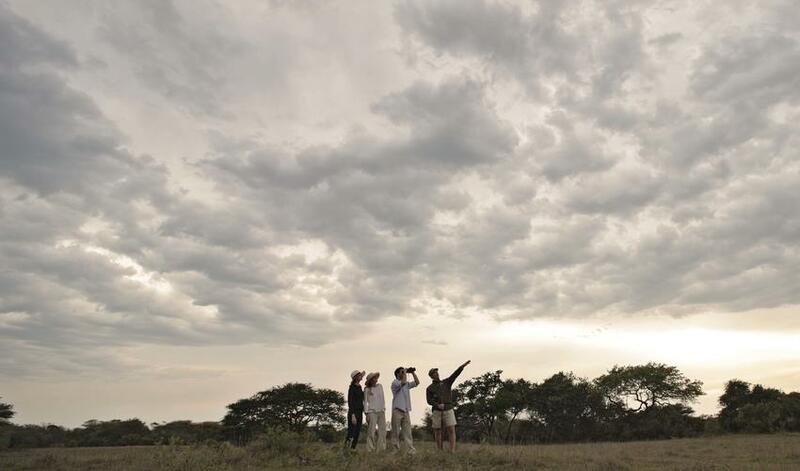 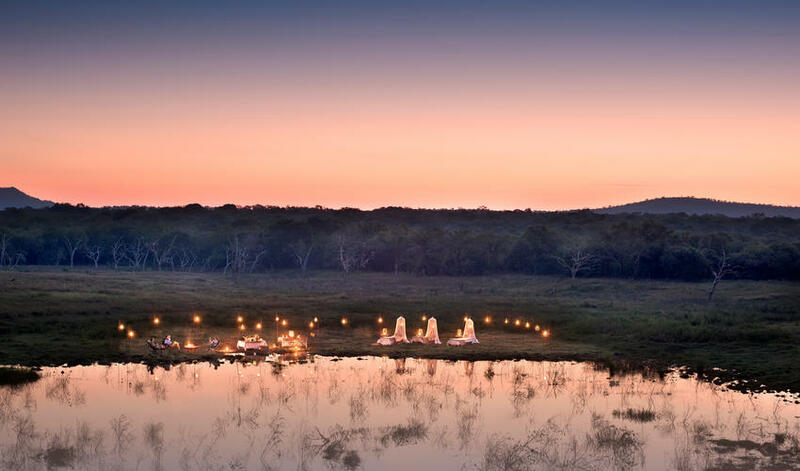 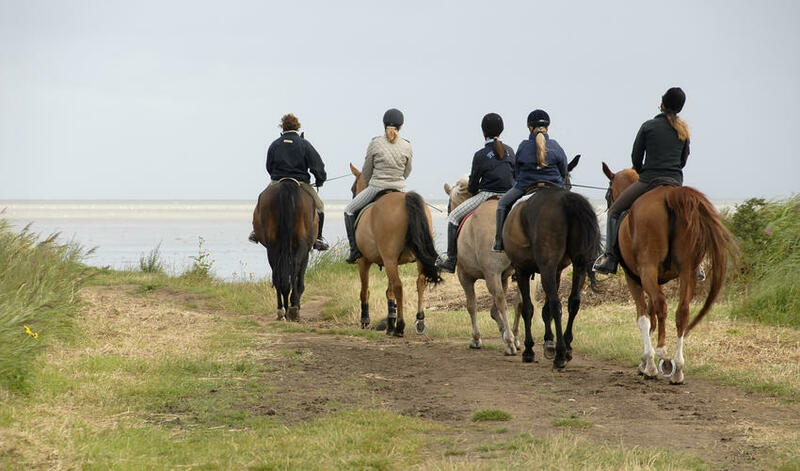 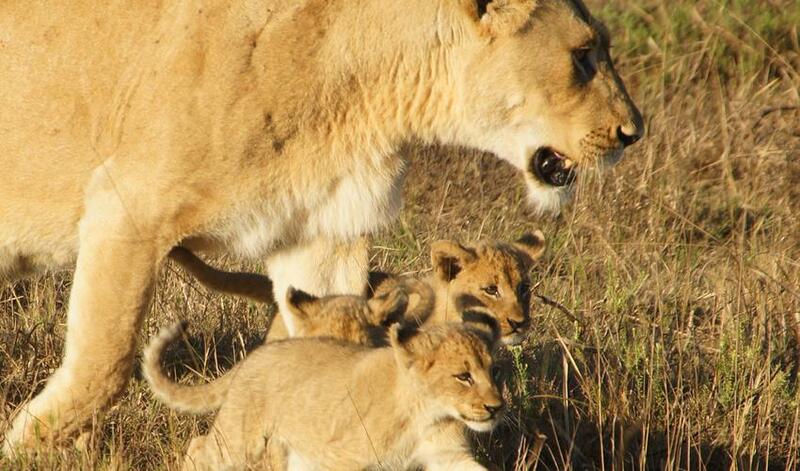 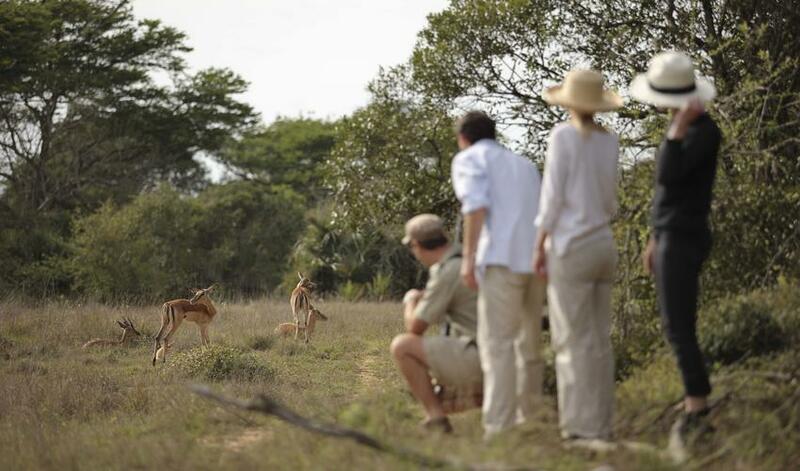 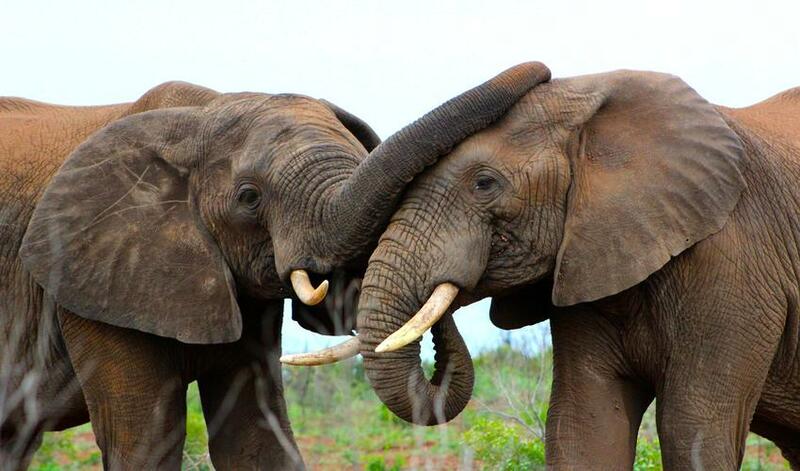 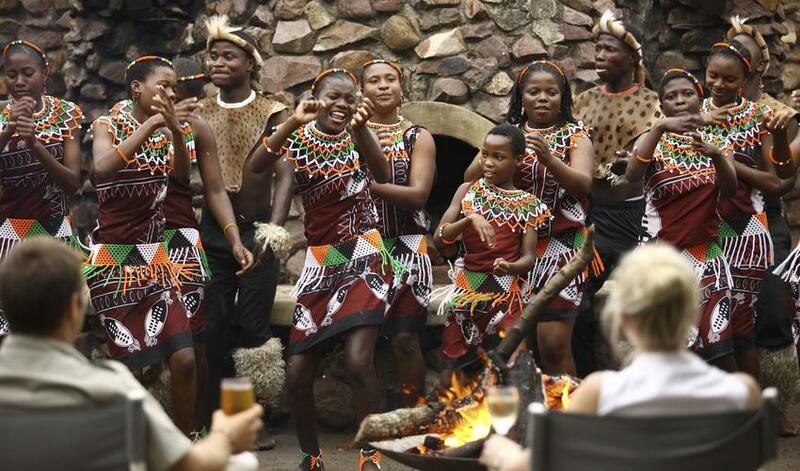 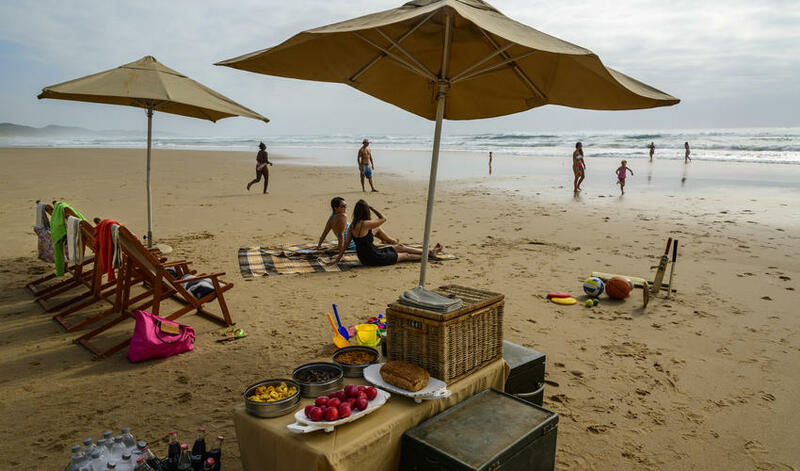 We do think Phinda Vlei Lodge is the preferable camp to choose and is on a par in terms of intimacy, luxury and price.